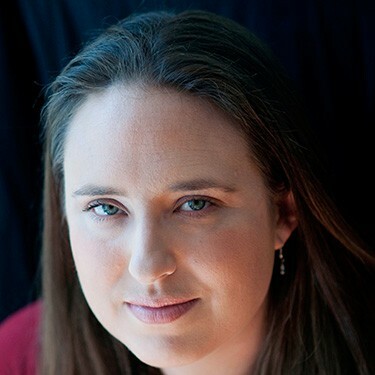 Amie Kaufman is the co-author of the award-winning Starbound trilogy (These Broken Stars, This Shattered World) and The Illuminae Files trilogy (Illuminae). She writes science fiction and fantasy for teens. Amie had the good fortune to be raised just one block from her local library, and took full advantage of that fact growing up. She and her sister spent their childhood summers re-creating their favourite books by camping in the back yard, mapping their neighbourhood, climbing trees, stepping through magical doors and sailing the local seas. She lives in Melbourne, Australia with her husband and their very quirky rescue dog, Jack. She’s a huge fan of chocolate and naps, has an enormous music collection, and an entire room of her house is devoted to her library. She still sails, and though she climbs fewer trees, she remains partial to investigating the occasional magical door.